Well Beyond Corporation, the makers of Beyond Healthy Chocolate including Jeanette, Marty and Andrew Brooks, have entered into a strategic merger with Jeremy Reynolds, CEO Well-Beyond of Beverly Hills, CA and originally from Calcutta, India. Jeremy Reynolds, CEO Well-Beyond is “a molecular biologist, geneticist, and protégé to two time Nobel Laureate Dr. Linus Pauling, Ms. Jeremy Reynolds, CEO Well-Beyond is a driving force behind the evolution of the biotechnology industry. Her most recent contributions include innovative developments in cosmeceuticals, nutriceuticals, wound-healing technology and cancer chemotherapeutics.” “Ms. Zaveri’s initial investigation into dermaceuticals started in 1993 with the creation of a biologically active peptide that stimulated collagen synthesis. This technology served as the sole intellectual property asset of Ms. Zaveri’s initial corporate endeavor, which began in 1994. After moving onwards in 1998 to create the Activor Corporation, Ms. Zaveri continued her work in dermaceuticals and shifted her focus toward the evolving science of biologically active wound healing products. ” Beyond Healthy Chocolate Network Marketing promoters, (MLM) are thrilled with the merger because of the exciting opportunities now available. Current and past promoters are ordering the Complete pack and quickly becoming Gold executives. Join in on this exciting venture during the pre-launch. Call Lynette Henk, Well Beyond Chocolate Brand Partner for information and help getting started. Lynette is available at 941-216-5727 or at email [email protected] Lynette was a corporate executive for years at both GE Capital and uBid Online Auction before deciding to enjoy the flexibility of her Network Marketing business. Lynette has never looked back and trains and teaches others how to succeed in Multi Level Marketing. The timing is now to get involved in the XO Pre-launch! Don’t hesitate. 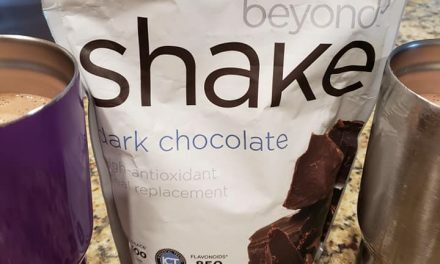 PreviousXO Beyond Chicago Chocolate Diet Scam or For Real? NextWhy Is The Healthy Chocolate Revolution Taking The World By Storm?